With a destination as exotic and fascinating as the Galapagos Islands, the best tours are the ones that give you choices as to how you can take advantage of all that these islands have to offer. With a cruise aboard M/V Coral I or M/V Coral II, that's exactly what you'll get. 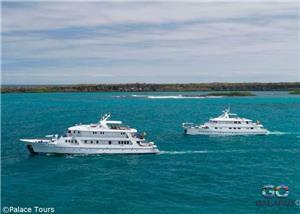 You can choose which of these two luxurious yachts you'll take on your trip throughout the Galapagos. You can choose what you'll do when you arrive--snorkeling, kayaking, hiking, or simply relaxing in these serene landscapes surrounded by beautiful views and wildlife. 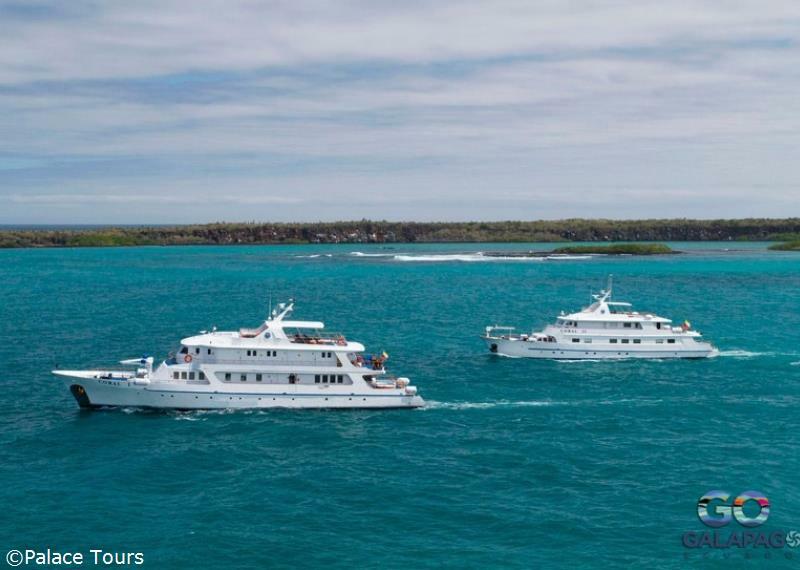 So the choice of how you want to experience the Galapagos Islands on your next vacation is all yours--but, with options like M/V Coral I and M/V Coral II, it's not a hard decision to make. Get to meet finches and giant tortoises as you make your way toward the Fausto Llerena Breeding Center Charles Darwin! Day 1 - Sunday: Welcome to the Galapagos Islands! Dry landing. Visit to the Galapagos giant tortoises breeding program, where the famous Lonesome George (last surviving specimen of Pinta Island) lived for decades. The center is conducted by the Galapagos National Park (GNP) staff with the collaboration of scientists from the Charles Darwin Station (CDS). Here, eggs taken from Pinzon, Santiago and Santa Cruz Islands hatch without the danger of introduced species. After artificial incubation; the “galapaguitos” (newborn tortoises) are reared until the age of 5, when they are released in their native habitats, having the capabilities to survive alone. Since the 70s, more than 2000 specimens have returned to their own islands. In addition, the Darwin Station works in several scientific projects, botanical research, providing environmental education to communities, schools within the Islands and tourists. If there is enough time, it is possible to visit Puerto Ayora. Behind the beach, lie two small flamingo ponds were iguanas sunbathe, and coastal birds such as Darwin finches, mockingbirds, gulls, etc. The native vegetation like the red and black mangrove can be also seen. This beach is one of the main sea turtles nesting sites in the Galapagos. A turtle can lay eggs 3 to 4 times per season with an average of 70 eggs. At this paradisiacal site, we will also find the remains of barges that were sunk during World War II, when the United States Navy operated a base on Baltra Island. Local people modified the word barges to “bachas,” hence its name. Day 4 - Wednesday: Farewell to the Galapagos!